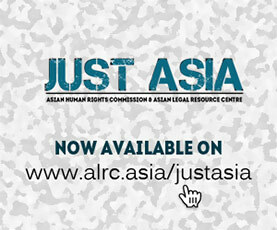 The Asian Human Rights Commission (AHRC) has received information that Krueng Raya police arrested a man without a warrant and tortured him in custody. He died in hospital on the day of his arrest, however no legal action has been initiated against the officers responsible. According to the Aceh Legal Aid Institute, Mr. Susanto was arrested on 9 July 2009 after the owner of an automotive workshop in Aceh filed a report against him for stealing a tire. Without waiting for the arrest warrant to be issued, officers from the Krueng Raya Police Station confronted him at a coffee shop in the Krueng Raya Market. Susanto reportedly ran and hid, causing the police to call for reinforcements: 15 officers and three police cars. According to eyewitnesses three shots were fired in the incident and Susanto was successfully arrested in Lampoh Raya and taken, mostly unharmed, to the Krueng Raya Police Station. He emerged from three hours of detention with extensive injuries and was taken straight to the nearest health clinic by police, where medical personnel declared his condition critical and ordered his immediate transfer to the Zainal Abidin Hospital. Police then contacted Mr. Susantos family. At 7pm a relative called Dasmi visited the hospital and was told that Susantos condition was still critical; at 10pm he was pronounced dead. When the victim’s body was delivered to his family, they saw evidence of violent abuse: they report that his right leg bore deep wounds, there was a stab wound on his left toe, a roughly stitched wound on the back of his head and bruises around his eyes. Before an arrest, according to Article 18 of Indonesian Criminal Procedure Law, a warrant must be presented and a copy of it given to the suspects family; in this case it would be illegally issued at 3am the following day, after his death. Arbitrary arrest also violates Article 9 of the International Covenant on Civil and Political Rights (ICCPR), which Indonesia ratified in 2005.
are human rights that cannot be diminished under any circumstances whatsoever’. The same right is protected by Article 28G paragraph (2) and Article 28I paragraph (1) of the 1945 Constitution. As a State Party to the UN Convention against Torture and Other Cruel, Inhuman or Degrading Treatment or Punishment (CAT), the Indonesian government is obliged to criminalise torture according to the convention, and to put enforcement mechanisms in place that will help put an end to it, in its many forms. The family of the victim is also entitled to compensation as laid out in Article 14 of the CAT and Articles 2 (3) and 9 (5) of the ICCPR. Please send your letters to the authorities listed below to call for an impartial investigation into the arbitrary arrest and torture of Mr Susanto, for disciplinary and legal action against the officers proven guilty, and for compensation for his family. The AHRC has written to the UN Special Rapporteur on the Question of Torture about this case. I am writing to voice my deepest concern regarding the arbitrary arrest and fatal torture of a young Indonesian man. According to information I have received, the police arrested Mr Susanto on 9 July 2009 without a warrant, in response to a complaint that he had stolen a tire. He was reportedly taken into custody at Krueng Raya Police Station unharmed and emerged from three hours of detention with extensive injuries. Medical personnel at a nearby health clinic declared his condition critical and ordered his immediate transfer to the Zainal Abidin Hospital, where he died at 10pm. When the victim’s body was delivered to his family, I am told that they saw evidence of extreme abuse: they report that his right leg bore deep wounds, there was a stab wound on his left toe, a roughly stitched wound on the back of his head and bruises around his eyes. By arresting Susanto before a warrant was issued (it would be issued at 3am the following day, after his death), the Krueng Raya police department abused its power and broke national and international law (namely Article 9 of the International Covenant on Civil and Political Rights (ICCPR) and Article 18 of the Indonesian Criminal Procedure Law). I am disturbed to note that the use of torture in Indonesia as a method of investigation is by no means confined to this one incident, and that though the country is a State Party to the UN Convention against Torture and Other Cruel, Inhuman or Degrading Treatment or Punishment (CAT), it has not criminalised torture in accordance with the convention, or put effective enforcement mechanisms in place that will help put an end to it. The newly enacted Regulation No. 8 deals with the Implementation of Human Rights Principles and Standards in the Discharge of Duties of The Indonesian National Police, and must be fully observed for it to have any bearing. I call for a prompt investigation into this case, followed by disciplinary and legal action. The family must also be granted compensation as laid out in Article 14 of the CAT, and Articles 2 (3) and 9 (5) of the ICCPR.